Referred to with the acronym of “ADA”, this federal act is designed to ensure compliance with certain standards that benefit disabled individuals. This act details the specific guidelines for everything from doorway widths to the force required to open such doors, the use of Braille in establishments and beyond. The act’s most commonly cited rules pertain to parking accessibility for disabled vehicles, curb ramps, access aisles, markings, signings etc. Aggregates are typically stones of varying sizes along with gravel and crushed rock. They comprise upwards of 96 percent of the asphalt mixture. Asphalt cement comprises the remaining amount. A term used to refer to Bituminous Asphalt Concrete. It is also referred to as flexible pavement. Asphalt is a mixture of hot asphalt cement and aggregates that turn into familiar asphalt when allowed to compact and cool. Asphalt mix in which the largest stone is no larger than three-quarters of an inch. It is usually #57 gradation. Base mixes are typically laid upon a stone base with a minimum depth of at least two inches compacted. This is the asphalt layer positioned between the rock base layer or other types of aggregate and the driving surface layer. Asphalt binder layers are typically comprised of coarse materials. It almost always has a greater thickness than the surface layer. This binder layer can be used as a driving surface or a first layer yet its use is somewhat limited. 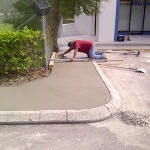 Most jobs require a stone base layer, a base layer of asphalt and a surface layer. A byproduct of petroleum that glues pavement together. In terms of volume, asphalt cement comprises between 4 and 8 percent of pavement mixture. The remaining 92 to 96 percent is comprised of aggregate. A term referring to the material installed before the asphalt paving is applied. Base is comprised of either crushed stone or an asphalt product. 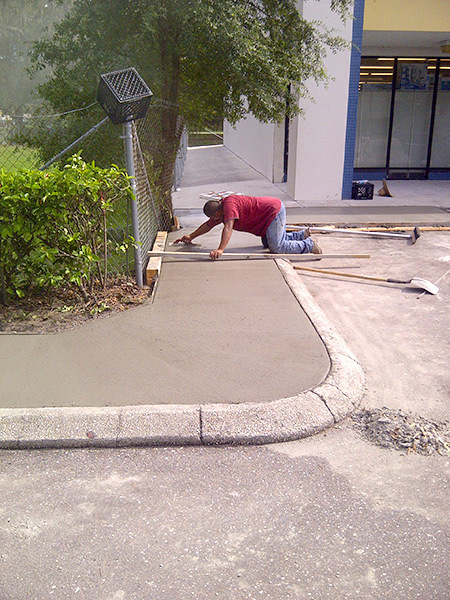 The base provides the finished pavement’s load-bearing capabilities. It typically measures 3 to 4 inches in residential driveways and 18 inches or more on roads and parking areas. The correct style and amount of the base need to be determined before paving commences. 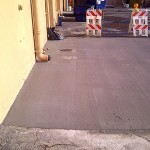 An insufficient base is the top reason for pavement failure. Base failure happens when the layer below the binder layer and driving surface can’t properly support traffic or structure weight. A base failure can occur for numerous reasons: overly-heavy loads, ground water, poor design etc. Such a failure can be remedied by an excavation of the compromised material and replacement with bridging stone material. Blacktop is a term that refers to asphalt. Yet one should not use this term when requesting specifications for a project as it is commonly used with different meanings for unique areas. 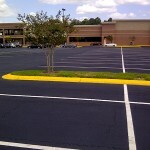 As an example, blacktop can serve as a reference to a hot oil treatment or penetration pavement. This acronym stands for “Cold In Place Recycling”. It refers to the processes in which grinding machines transform pavement into base material used in paving projects. CIPR commonly uses additives like foam asphalt or emulsions to improve stability. This process involves an application of a hot asphalt oil layer atop pavement. It is subsequently covered with a layer of diminutive crushed aggregate. This application occurs immediately. The aggregate is applied in a rolling manner with a pneumatic roller. However, it is not used for parking lots as the oil can bleed and create tracking in hot weather. This is a byproduct of the steel production industry’s coke ovens. Refined coal-tar has served as an asphalt pavement sealer base for nearly 80 years. It has increased in price in the recent past due to a shifting of steel production to other nations. A compressing of a certain volume of material into a smaller volume. A properly compacted sub-grade and base are of the utmost importance. This is a common moniker for Portland Cement Concrete Pavement. It is a compact and rigid material commonly used for building. It forms when a mixture of cement, gravel, sand, and water thoroughly dries. A foundation course comprised of mineral aggregate bound into a cohesive entity with asphalt material. A separation of a layer of asphalt that occurs when excessive weight is applied from above. Cracking can also occur as a response to aging or excessive heat. Pavement deviation due to pressure from weight loads. Density is a reference to a material’s weight at a certain volume. A certain asphalt density is attained with a mechanical compaction of the hot material after paving equipment places it. Drag boxes are named as such as they are pulled behind massive dump trucks. Their spreaders are often used to distribute asphalt. It is possible to perform well with a drag box spreader yet the flaws in the finished surface sometimes prove unacceptable. These devices are commonly made by everyday people and used by “fly-by-night” or “gypsy” contractors. Such devices should not be mistaken for manufactured tow-behind pavers designed with floating screeds. When properly used, these devices generate an asphalt mat similar to that of a traditional self-propelled paver. A network of drains and pipes to eliminate surface water. 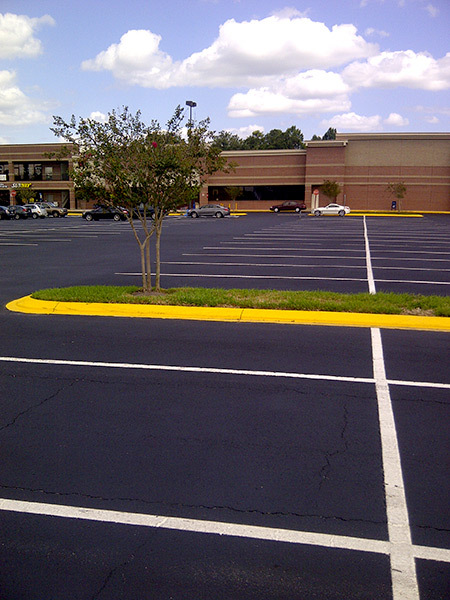 Asphalt surfaces are sloped to facilitate the elimination of surface water. A combination of ingredients produced in a mechanical manner. Under normal circumstances, these ingredients do not mix with one another. As an example, asphalt emulsions are created by a procedure in which mechanical mills heat asphalt to generate small globules. They are placed in water and mixed with an emulsifying agent. A reference to slope. This is the degree at which a paved surface is precisely angled to facilitate the drainage of water. A process involving the application of highly diluted asphalt emulsion within a fine spray that is transmitted to roadway surfaces. Fog seal restores color, slows oxidation and even seals thin cracks. It isn’t widely used for parking lots due to tracking. A process of building an asphalt pavement structure with asphalt products for each component. The base and surface are comprised of specific hot-mix asphalt grades. There are all sorts of advantages to this approach to construction. This is a technical moniker for fabric-esque materials used during the paving process. Geotextiles are usually made for specific uses that provide nuanced performance characteristics. Common uses include a stabilization of base material to ward off migration into sub-grades, functionality as a moisture barrier separating pavement layers and to slow reflective cracking within asphalt overlays. Also known as North American Asphaltum, this is a resinous and natural hydrocarbon derived from the Utah Basin in the northeastern section of Utah. It is a black, shiny substance that looks like the mineral obsidian. It breaks apart with ease so it is commonly crushed to form a dark brown powder. Certain companies make pavement sealers with Gilsonite as the base material. The disadvantage of such sealer is that solvents must be used, typically in the form of mineral spirits, so the Gilsonite can be dissolved. If the solvents are applied in excess or improperly applied, they can damage the asphalt pavement. This is the slope. It is the degree at which a paved surface rests to allow for water to be drained. It is also a reference to the act of sloping or leveling a base layer or sub-grade prior to paving. An acronym that stands for Hot Mix Asphalt Concrete. It is a fast and easy reference for asphalt, blacktop, and hot-mix. It should be used when one desires to specify asphalt pavement work so there is no confusion regarding the type of material to be used. It is made in an array of different grades from specialized mixes to coarse base mixes used for repairs, surfacing and other purposes. The grades are typically specified according to the guidelines set forth by the state department of transportation. This device makes use of propane along with compressed air ignited in a chamber to generate a hot and high-velocity air stream. 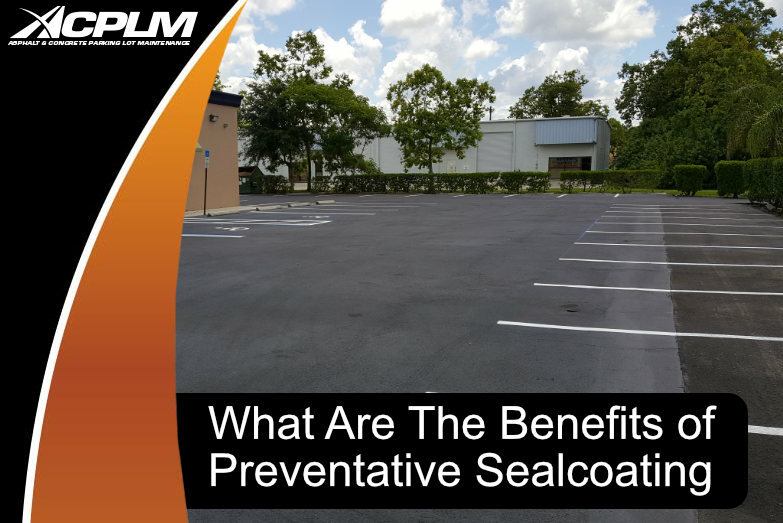 It is often used to eliminate vegetation and debris from pavement cracks before sealing occurs. It is also used to warm and dry cracks to allow for improved acceptance of sealant. When used properly, it is a highly effective preparation method. Though it costs more at the outset, heat lance preparation and routing can provide upwards of 10 times the life of traditional crack sealing methods. An acronym that stands for International Symbol of Accessibility. This is the correct term for the handicap symbol. It is used across the world to specify spaces created to improve access for individuals with disabilities. 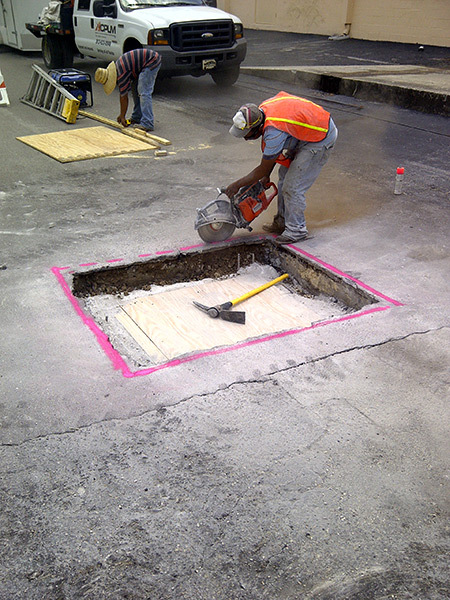 An asphalt surface repair in which radiated heat is used to soften the current pavement. The pavement is typically raked and an additional hot mix is applied. The area is re-compacted following the completion of the raking. This permits speedy repairs with minimal new material. It also facilitates repairs in cool weather that would not allow for traditional methods to be used. However, it is inappropriate for areas that require structural repair and areas of base failure. It can soften pavement to allow for decorative processes like Street print and texturing. An asphalt joint is an area where two unique asphalt “pulls” join. This is typically a highly visible area following the completion of a paving project. It is often called a “seam”. The segment of the asphalt paving process in which hot asphalt is placed by the paving machine. A sedimentary rock commonly used as a material for building. It is also used as the base layer in PCCP or asphalt paving systems. It is the primary stone component for many asphalt materials. This term is used to describe new asphalt surface positioned behind the paving machine. It refers to asphalt during the laydown and compaction processes. A measurement of the density of a material previously placed in a specific area. This is made possible with the use of a specialized instrument designed to gauge the penetration level of radiation in that material. 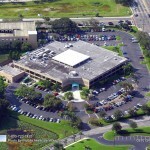 The placement of new asphalt atop current surface made of asphalt or concrete. It is also referred to as resurfacing. A compact and formidable building material created when a mix of cement, gravel, water, and sand completely dries. It is also referred to as concrete. This is an acronym that stands for reclaimed asphalt pavement. It is a reference to ground asphalt that is placed back in a virgin asphalt mix while it is at the mixing plant. Such procedures that make use of RAP are growing in popularity for environmental and economic reasons. Recycled pavements sometimes have different performance characteristics than traditional mixtures. Contemporary contracts should state whether RAP material use is encouraged, permitted or not permitted. Cracks within asphalt overlay pavement created by the reflecting of cracks through the overlay. Specialized materials and techniques like multi-membrane paving fabrics minimize this issue. An enlarging of cracks within pavement made possible with the use of a specialized machine. Routing allows for a uniform reservoir width for sealant. The choice of bit size creates the perfect width to depth ratio. When executed in the proper manner, routing significantly boosts the durability and effectiveness of crack sealing. An acronym that stands for Strategic Highway Research Program. This is a federal research project that provides a considerable amount of the data used in determining the best paving and pavement maintenance materials, designs and methods. The section of the paving machine that distributes and compacts asphalt. Screeds typically float along the asphalt. 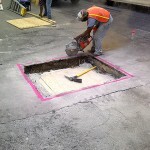 Their adjustment determines the final width along with the asphalt mat’s valley or crown profile. Application of a sealant, usually asphalt emulsion or coal-tar emulsion) that protects, preserves and improves the aesthetics of asphalt pavements. It is typically used on streets with minimal traffic or locations that are off-street. The degree at which a paved surface is angled to promote water drainage. A sealcoating process typically used on streets, runways, and roadways. The coating is created by the application equipment while it is applied. A specific blend of graded asphalt emulsion, aggregate slurry seal and additives are classified as Type I, Type II or Type II. The specific type hinges on the aggregate size in use. Large aggregate slurry seal with added polymers is sometimes referred to as micro surfacing. It isn’t used on parking lots as there is the possibility of tracking during warm months. A layer within the pavement system beneath the driving surface and the asphalt binder. This base is typically comprised of crushed stones with different gradations and sizes. Soil prepared to provide support for a pavement system or structure. This is the foundation for a pavement structure. Such failure occurs when prepared soil below an asphalt structure can’t fully support the pressure from the structure or traffic above. Aside from an excessive load count, this failure can occur due to ground water and poor design. 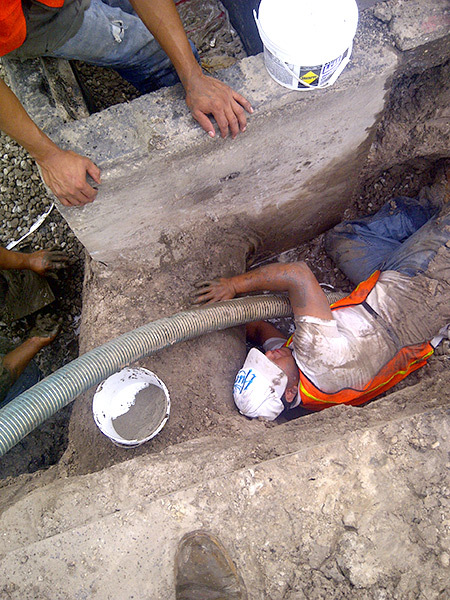 Correction is possible through an excavation of the soft material from the affected space. It must be replaced with bridging stone material or compacted soil. This term stands for Superior Performing Asphalt Pavement. 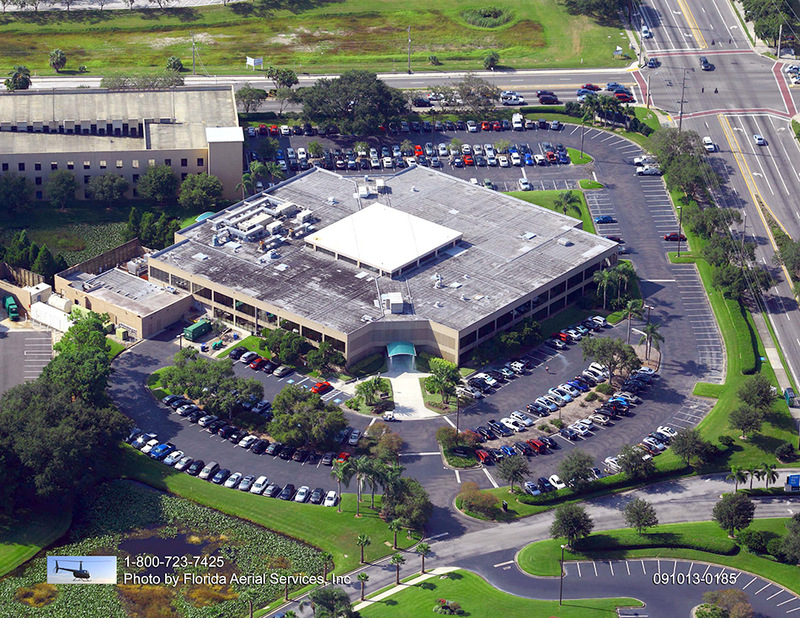 This asphalt design philosophy designs roads as well as parking areas and additional asphalt structures with each unique environment in mind. Factors like traffic levels, style of traffic and weather are considered. Asphalt mix in which the largest stone utilized is not larger than an eighth of an inch. Surfaces mixes are typically laid at a depth of at least a full inch compacted. Asphalt oil, commonly emulsion type, applied to the current pavement during overlay paving or repairs to form a bond between the old asphalt and the new asphalt. This results when materials or products are collected by automobile tires, sneakers, the wheels of shopping carts and so on. They are carried from the pavement and spread to surfaces where the material should not be. A break within asphalt pavement at a 90-degree angle to the road’s direction or the direction at which asphalt was placed. A joint in asphalt pavement that sits at a 90-degree angle to the roadway’s direction or the direction at which the asphalt was placed. A layer of asphalt applied for leveling before the application of the final asphalt driving surface. 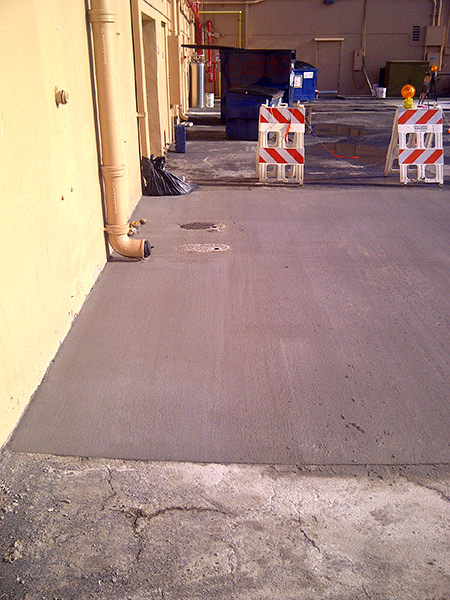 This wedge layer is meant to flatten out imperfections within the current pavement before the final layer is applied.